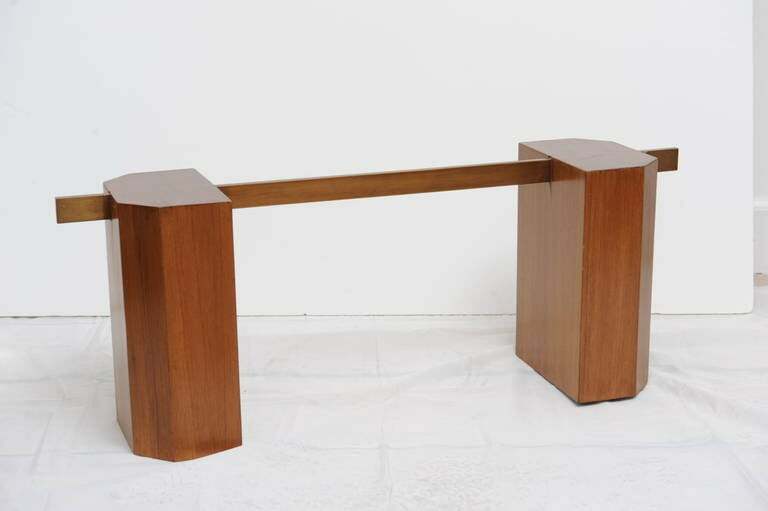 This unusual Danish, mid-century modern coffee table is made of two beveled solid teak bases connected with a brass rectangular rod. 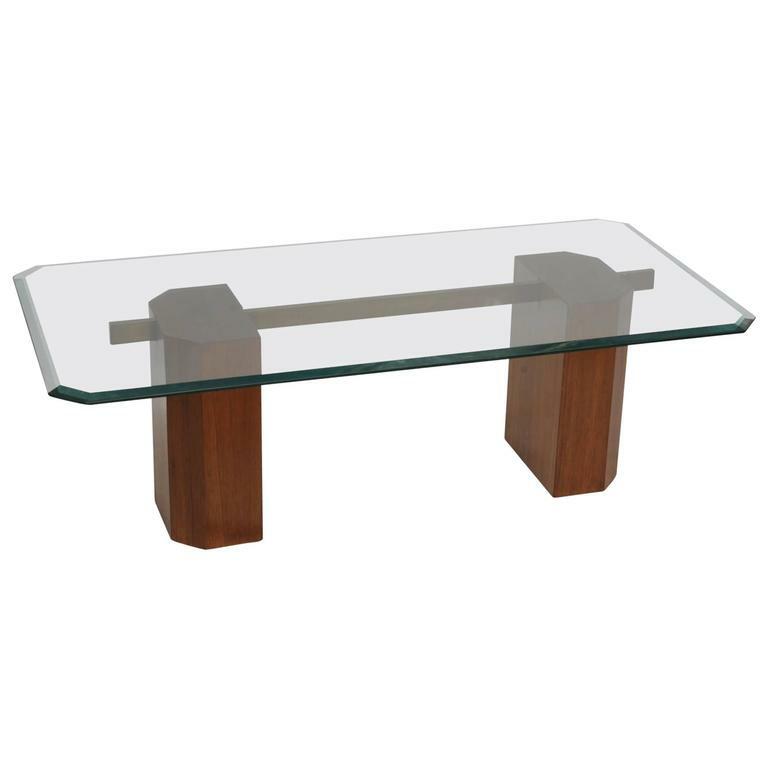 The glass top is beveled and angled at the corners mirroring the beveled bases. 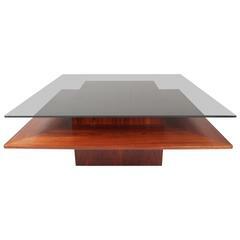 British Colonial rosewood coffee table with bevelled glass from the 1960s. Beautifully constructed, simple and elegant. 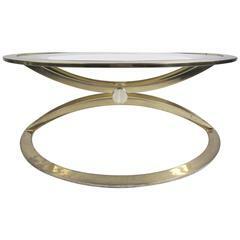 Sculptural, Mid-Century Modern heavy brass coffee table with teakwood sabots. Beautiful minor patination to brass. New smoke glass top. 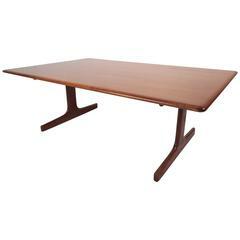 Architectural Mid-Century modern teak end table by Lane with one drawer. Fully restored. Excellent condition. 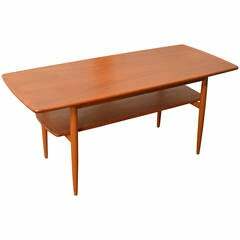 Nice rectangular Swedish Mid-Century Modern teak coffee table with functional magazine/book shelf. 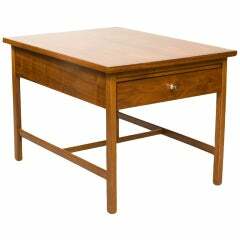 Very nice design and craftsmanship quality piece by A-B Lammhults Mobler. 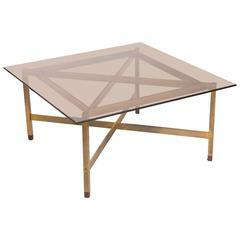 Gorgeous Mid-Century Modern coffee table featured in rich maple grain. Please confirm item location (NY or NJ). 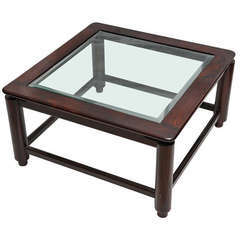 Vintage modern coffee table featuring a modern inlay design top, rich walnut grain, and tapered legs. Please confirm item location (NY or NJ).